Are you having dry well drainage problems? Does a dry well full of water have you worried? Relax! There is no need to. VAC-TEC, LLC is here to provide expert dry well repair services in Kent, WA, and its surrounding areas. Our company specializes in working on dry well systems and can be trusted for fixing dry well problems with professional solutions. There are a number of things that can happen to hamper the workings of a dry well system. From clogging to collapsed walls, we provide dry well repair services to fix these and other issues.We are available 24/7 for emergency service. You can call us to carry out the dry well repair in your Kent property anytime you face issues with the system. Are you considering the benefits of getting a dry well system installed in your Kent property? Are you comparing dry well vs. French drain but are unable to decide which would be the better yard drainage solution for your property? Let us help. 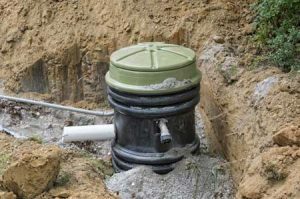 A dry well system is an excellent investment for safeguarding a property against stormwater run-off. However, a professional installation is a must for the system to perform optimally and have a long lifespan. Our excellent work ensures that you have minimal dry well problems and dry well repair hassles in the coming years. 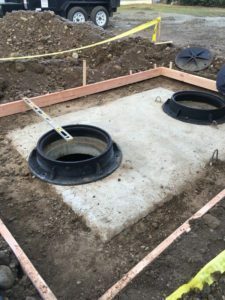 The well-planned installation of a dry well system, followed by regular dry well cleaning service ensures efficient disposal of stormwater run-off and keeps dry well problems at bay. Still, issues can arise occasionally despite proper dry well maintenance. 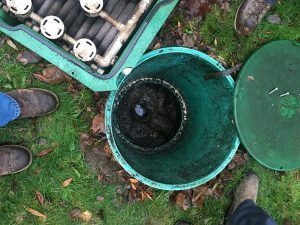 We are happy to take care of all the big and small dry well problems you have on your Kent property. Call us when the dry well is backing up or the dry well is not draining properly. Make VAC-TEC, LLC your first choice for dry well repair services in Kent. Call (206) 339-0039.